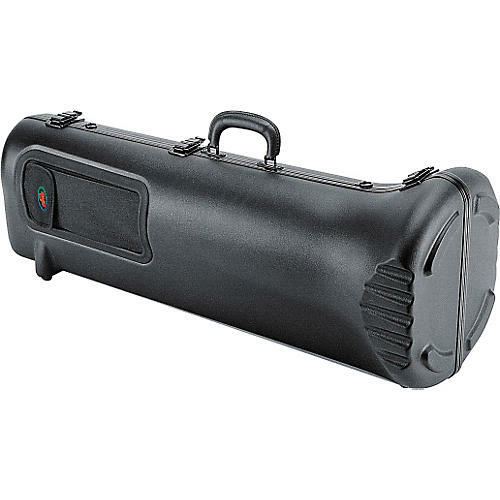 The SKB Universal Pro Tenor Trombone Case is perfect for tenor trombones with or without an f-attachment. Fits large-bore tenors with up to a 9" bell. Compact and lightweight, it is the practical alternative to traditional wood cases. Contoured. SKB is a premier supplier of musical instrument cases. SKB builds their products with military-spec, ultrahigh molecular weight polyethylene and premium hardware. All SKB hardshell cases are unconditionally guaranteed forever. That means if you break the SKB-462, they will repair or replace it at no cost to you.